After seven weeks, National Labor Relations Board claims, rusted tools, the loss of jobs and other strike ugliness, unionized Chicago-area mechanics and area dealerships came to an agreement on Sunday. Those who did not lose their jobs during strike, which is the majority, returned to work on Monday. A news release by the International Association of Machinists and Aerospace Workers, which the recently striking Local 701 union in Chicago is part of, said the union and the Chicago New Car Dealer Committee approved a four-year agreement Sunday. The deal ended a 1,700-person strike that lasted nearly two months and affected around 130 of the 420 new-car dealerships in the area. In addition, the contract addresses the advancement of semi-skilled workers towards a career path, shortens the apprenticeship scale from 10 to 5 years, fixes a break in seniority for a longer period if workers get hurt on the job, provides a more family-friendly work schedule for senior-level Journeymen technicians, maintains the employee contribution for health insurance, and increases tool insurance to cover up to $100,000. The release said unionized technicians didn’t get everything they asked for, but that the agreement mirrored some of the side deals made between dealers and the union during the strike to get employees to come back to work. 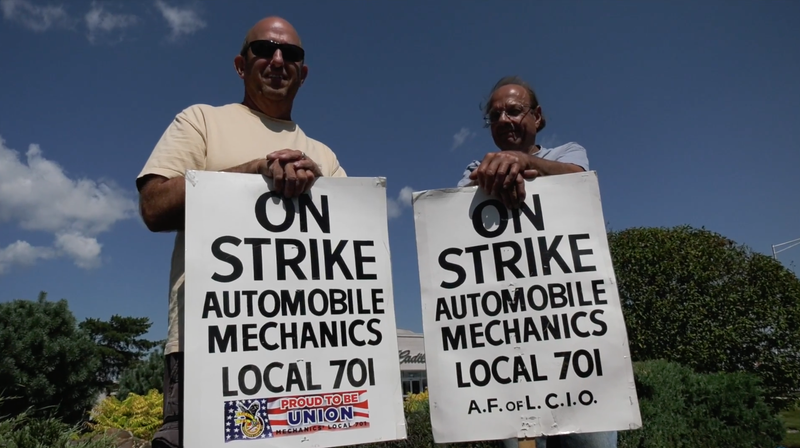 That kind of ugliness existed throughout the strike, as evidenced by the claims that more than one dealership pushed mechanics’ tools outside, canceled health insurance and put job ads out for striking technicians’ replacement, among other claims from the strike lines. With technicians back to work, a spokesperson for the dealer committee said dealerships are “relieved to have the work stoppage behind them.” The union sounds relieved in general.